Gov’t should raise prosecutors’ pay to get better-caliber lawyers. Legislators who channeled their PDAF to Napoles and executive officials who approved SAROs to fake NGOs are more guilty than her. But who are the “non-Napoles” scam operators who bagged far more than Janet and involved in them? No selective investigation. Food security is frightening problem that goes beyond Kiko P: what if Vietnam and India refuses to sell us rice? The fiasco about the amended charge sheet that prosecutors of the Office of the Ombudsman wanted to file before the Sandiganbayan---which it turned down---reveals two things. One is that in the rush to hail the three opposition senators to jail, the prosecutors committed the blunder that Janet Napoles should be the centerpiece of the corruption web and the politicos just recipients of dirty kickbacks from her. Whereas in hindsight, the prosecutors realized that the senators should be the MAJOR ACCUSED because they WILLFULLY caused their PDAFs to be invested in Napoles’ fake NGOs, in return for huge kickbacks. The prosecutors had to retreat from filing the amended information, however, when the Sandiganbayan’s First Division warned them that their new move would cause the arraigned senators to be released---inasmuch as the court’s arrest order was based on the earlier charge sheet. Thus, it would take time to conduct a new investigation, and in the meantime, the accused solons couldn’t be kept in jail. This amendment fiasco indicated the eagerness of the Ombudsman’s office to hang the senators fast, perhaps so that they could be exhibit A for the President’s SONA on July 21. It also shows that government’s prosecution team has to be beefed up to do a more respectable job---but this would mean higher pay. It’s easy to see that the best legal minds are in the top-notch law offices and unless the government compensates well, as the saying goes, you pay peanuts, you get monkeys. But the main point is that despite their blundering move, the prosecutors are CORRECT in their amended thinking: the senators and representatives who succumbed to the importuning of Napoles as well as what’s now unfolding, the “non-Napoles” operators, are the MORE GUILTY ones. This is because they had the CHOICE of whether to be tempted or not by the tempter, and they succumbed. The solons' situation was not unlike Adam and Eve's in Paradise---the onus was on them for their sin of pride and not on the serpent who tempted them. The solons are handsomely compensated for doing so little in Congress---in terms of fat salaries and allowances, various perks such as travel and per diems, emoluments in committees and oversight committees, etc., etc. I suspect that each senator easily gets to pocket, without hanky panky and all in, a billion pesos every year. Unfortunately a number of them became greedy and as accounts of Napoles’ affidavit and testimonies of the whistle-blowers show, they were served by equally rapacious “agents”---Ruby Tuason, Maya Santos, Zeny Ducut, Pauline Labayen, Patricia Agana Tan and many others, who collected their “porsiento” as soon as they turned over their clients’ SAROs to Napoles and other scam operators. But just as guilty as the legislators are DBM officials Secretary Florencio Abad and Undersecretary Mario Relampagos, who were very quick to release SAROs to Napoles and “non-Napoles” operators, without conducting due diligence on the NGOs. Media accounts say Relampagos and several others are going to be charged with conspiracy in the scams, but as Relampagos now argues, WHY ONLY ME? He reasons out that his boss Abad ought to go to jail too, as he approved every release and under the principle of command responsibility. Feigning ignorance on Abad’s part could be just as disastrous as this would be dereliction of duty---and totally unbelievable. But if Abad is so charged, he could in turn toss the blame ultimately to his boss, the President, as in the case of the DAP, which was used to bribe senators in the Corona Senate trial. By Abad's admission, P-Noy approved every cent of it. Speaking of “non-Napoles” operations, Rigoberto Tiglao in his Manila Times column asserts that Napoles only bagged P2.2 billion worth of SAROs, but that those that landed in “non-Napoles” scam entities raided public coffers of P6 billion---far fatter. What’s interesting is that little is known about these latter operators who bagged amounts worth a king’s ransom. Tiglao correctly observed that there is selective investigation and obviously all efforts are being made to channel media attention and people’s outrage to Napoles, whereas there are apparently bigger crooks who monkeyed around with the SAROs and fake NGOs. As Bobi Tiglao points out, the DBM could not have known about these non-Napoles operatives, for they channeled the solons’ SAROs into the very same “implementing agencies” as Napoles did, e.g., NABCOR, TRC and NLDC---and DSWD (of Dinky?). In fact, Napoles' affidavit relates that the agents for the legislators would even try to bludgeon her into giving them their porsiento rate kaliwaan with the SAROs, or otherwise they’d give it to another operator. The one-sidedness of the DOJ’sinvestigations and DBM’s obstinate refusal to disclose the non-Napoles files it holds, as COA Chair Grace Tan testified in her special audit report to the Senate, make people suspect that major administration crooks were operative in those files---in the same way that the big three senators figured in the Napoles files. The behavior of Justice Secretary Leila de Lima, COA Chair Tan and Ombudsman Conchita Carpio-Morales toward the “non-Napoles” scambags will bear watching. But there should be a strong demand for investigation into these unknown scam operators. Who are they and their clients? Who are the P-Noy officials involved? New Czar for Food Security and Agricultural Modernization Francis Pangilinan, faced with skyrocketing of prices of rice and other basic commodities, now admits that perhaps the Aquino administration underestimated the need of the population for the basic staple. This is as good an admission as any that the previous Arroyo administration did the right thing in making sure there was enough rice by importing in quantity. In contrast, the P-Noy administration has endangered the nation’s food security by underestimating that need. Recall that a campaign line of candidate Noynoy and into his first two years in the presidency was that he would, in contrast to the importing Arroyo administration, produce bumper harvests to negate importation altogether. Now it has finally admitted that it will import an extra 200,000 metric tons of rice from Vietnam asap, in addition to seizing some 20,000 metric tons of smuggled rice. Food security Czar Pangilinan is still insecure about his new title and job, but some people who truly understand the political economics of rice are now plainly worried that our country has become so dependent on importation of rice, as agriculture drags on as perhaps the most neglected of the basic industries. What makes our situation terribly WORRISOME is that should any major national calamity hit our traditional rice suppliers such as Vietnam and India to the point that they have to hoard their rice for their own people, what happens to our country? In not too distant memory, riots have occurred in countries such as Egypt over rice shortage. To be fair to the administration, a number of natural calamities affected our rice production, such as massive droughts and strong typhoons. But there were also factors that could have alleviated the situation but did not happen, such as pushing more construction of badly needed irrigation system. Vietnam, in the many decades it was rife with civil war, didn’t forego construction of irrigation dikes and canals and this has helped make it a major rice exporter. Then too comprehensive land reform has been a failure as the landlord-dominated Congress did not push meaningful reforms enough, so that only 77,000 farmers or 9.7 % of those covered under CARP and CARPer have fully paid their monthly amortizations. Agriculture is not only in the doldrums it’s in NEAR MORIBUND STATE, so that young farmers would rather get jobs as waiters for Jollibee or McDo than till the soil. Many habitually have to borrow capital at usurious rates, only to lose their land to lenders, so that they prefer to sell their lands for subdivisions and malls. Then too, those who persist in farming cannot compete with smuggled items such as garlic and onions. Then there’s the mind-boggling corruption. Among eight government agencies involved in the pork barrel scams of Napoles and non-Napoles entitles, the Departments of Agriculture and Agrarian Reform and their allied agencies are rated tops. There’s a demand for the resignation of Secretaries Proceso Alcala and Virgilio de los Reyes, but P-Noy refuses to let go of them. Is anyone in government worrying about food security? After Justice De Castro’s open tiff with CJ Sereno, now it’s Sol-Gen Jardeleza’s turn to take issue with CJ. Prosecutors' plea to amend information vs. senators will make latter’s lawyers happy, as it makes them realize that cases are not that tight---more likely a rush-job. In hindsight, Ruby Tuason should not have qualified as state witness, as she was among the most guilty. The open conflict between Chief Justice Ma. Lourdes Sereno and government’s chief lawyer, Solicitor-General Francis Jardeleza, is very sad for us Filipinos---erupting as it does in the wake of the people's grim demoralization over the mind-boggling PDAF scams. But at the same time this conflict is an event one could almost predict, as we see the degeneration of the SC now enmeshed in too much politics. I mourn very much the progressive deterioration of this once venerable institution, and we can only hope that its July 1 decision to rule on the unconstitutionality of DAP can help redeem the High Court somewhat. The situation involving Sol-Gen Jardeleza and the SC is unprecedented, and also very awkward. In a 10-page letter to the SC, he has asked the Court itself to inhibit its chief magistrate from participating, as ex-officio chair of the Judicial and Bar Council, in the coming JBC voting on the top three nominees to the SC vacancy left by retiring Justice Roberto Abad. Jardeleza is among 13 candidates for this vacancy. In his letter the Sol-Gen informed the high magistrates that he only learned of Sereno’s intention to grill and oppose him in the JBC after one of its members, Aurora Lagman, called him up to say that Sereno had informed the JBC that she will raise with the Sol-Gen the issue of his alleged questionable integrity at its meeting on June 30. Jardeleza wrote the SC that Sereno had not bothered to inform him about this integrity issue, so that the June 30 meeting would just be a one-sided affair that would deprive him of his right to due process. The Sol-Gen asked the SC to order the resetting of the JBC meeting not earlier than July 10---to give him time to prepare for his defense against CJ. Obviously Sereno is pushing the Palace’s favorite candidate, COA Chief Grace Pulido Tan, and doing everything to ensure her appointment. Media have noted that friction between Sereno and Jardeleza dates from their days as UP College of Law professors. Recall that last week Sereno told the SC magistrates that she has acceded to the "request" of several colleagues that the traditional nomination by SC magistrates for the vacant SC post be dispensed with. To which Justice Teresita de Castro and other justices loudly objected. Now this conflict with Jardeleza. Sereno is obviously trying to please President Aquino who went into deep selection to propel her, the most junior magistrate at the time, to the Court’s helm. But she appears to be carrying things too far and it was frightfully unfair to Jardeleza to hear of his coming inquisition from another source, without the opportunity to arm himself for his defense. I surmise that P-Noy is quite displeased with the Sol-Gen, for in the first SC hearing on the DAP issue, the magistrates got him to admit that the DAP is unconstitutional. Of course most legal luminaries and various legal organizations are in solid agreement on its unconstitutionality, but in P-Noy's mind, doubtless, the government’s chief lawyer CANNOT ADMIT that in public. Jardeleza has every right to raise his lament to the High Court, even though it’s an awkward situation for the SC whose move will be closely watched on this issue, and for himself. He'd conceivably have a hard time winning a case in the SC from hereon---if he'll be allowed to stay on in his job. But the Sol-Gen seems to have gone for broke this time, realizing that his only recourse is to bring his case to the people. Sereno, however, is the bigger loser here, as this dispute, the second in two weeks involving her, raises anew, as media have already done, the question of her psychological fitness for the top job. This rakes up again talk about her having flunked the psychological and psychiatric tests administered on SC candidates. But all this mess in the Court merely reflects what’s happening to the country today---no rhyme nor rhythm, it seems, just pure whim. For instance, prosecutors in the Office of the Ombudsman have asked the Sandiganbayan First Division to be allowed to amend information on the plunder charges the Ombudsman has filed against Sen. Bong Revilla; similar amendments are expected to be filed on the cases vs. Senators Jinggoy Estrada and Juan Ponce Enrile. To reduce this issue to the plainest terms, what the Ombudsman’s office had earlier submitted was predicated on its belief that Janet Napoles is the central figure in the multi-billion pork barrel scam. The realization has lately dawned on that office, however, that if this argument were to be carried through, it would create a very weak case for the prosecution, inasmuch as Napoles is a private individual and cannot be subjected to the charge of plunder. Thus, the amendment has to focus on accused senators---and rightly so. I maintain that all those solons involved in PDAF scams are more guilty than their tempters. But equally guilty are the Palace officials who released the SAROs to fake NGOs---they cannot plead ignorance of the scheme. It's this realization perhaps that there must be many such loopholes in what purports to be a tight case against Napoles vis-à-vis the politicians, that makes lawyers of the three accused senators appear quite confident that their clients won’t end up in jail or stay there too long. Already, today Bong Revilla's lawyer was quick to demand the lifting of the charge against him, inasmuch as prosecution's plea for amendment still had to be approved by the Sandiganbayan. It does look like government prosecutors were too in a hurry to arraign the big fish, and in the process filed an amateurish case. But reviewing at past news accounts of the Napoles scandal, I note that Ruby Chan Tuason was able to swing state witness status so easy, even though she appears to be among the most guilty of the PDAF “agents” and that the amount of money she turned over to the government as retribution is such a pittance, compared to the gargantuan amounts she was alleged to have raked in. No country bumpkin like Napoles of Basilan, but a suave, sophisticated woman used to dealing in high society and with big-time politicos through three administrations, Tuason came across in the Senate hearing and in news reports as so cold-blooded in her hard bargainings with the senators' SAROs and ruthless in using her political connections ---but with so little pity for the country she was depriving of precious resources. No wonder Janet Napoles had opined, with undisguised envy perhaps, that Tuason shouldn’t be admitted as state witness. @ SC Associate Justice Antonio Carpio has done a yeoman’s job in shattering traditional myths about China in relation to the Philippines, that many acknowledge the service he did for country. But interestingly, as fate would have it, his son recently married a Chinese girl whom he met in Silicon Valley, California, where they both work. Sources say the wedding ceremony took place in Beijing. The joke in local circles: did Justice Carpio have a rough time getting a visa for China? @ Despite his lawsuit filed against former MRT general manager Al Vitangcol, former Czech Ambassador to Manila Rychtar is back in Prague. It would seem that he just wanted to make enough noise and trouble, so that his government won’t blame him for botching the bagging of the contract for the additional MRT trains---a case of ginto na, naging bato pa.
@ Speaking of those trains, the talk among Czech sources is that second-hand trains used in that country are just spruced up and passed for new to unsuspecting clients here. Good that the MRT contract was awarded to China’s Dalian Corporation which offered brand-new trains at much-lower costs. Critics of Vitangcol, however, are not willing to concede this gain for PH. @ I’m asked how I feel about reports that the Ombudsman will commence investigation of Vitangcol and a supposed “partner,” Cris de Vera. I think this is good because it would give Vitangcol a chance to bring out everything and clear his name. Like his colleagues in the IT profession I continue to believe Al is a good and idealistic man, though much-maligned. But we know why that happened. Tribune and Alex Magno went hot on P-Noy’s trail, as he had not been seen or heard since June 12 Naga event---triggering all sorts of speculations. The President’s presence must be known and felt at all times---especially when so many crucial problems are crying for attention, not the least the skyrocketing price of rice and garlic. Former FEU Law Dean Antonio Abad attacked selective justice in PCSO case vs. GMA---despite his closeness to Cojuangco-Aquino clan. Bravo! The Daily Tribune first put the “disappearance” of President Aquino in the public consciousness in its June 19 editorial, and Star columnist Alex Magno continued the perplexity in his June 21 column titled “Missing.” Alex observed that P-Noy was last seen “hurriedly delivering his Independence Day speech in Naga” that was interrupted by more coughing than heckling. This blogger also spoke a few days ago of this palpable sense of drift in the nation and the deepening despair among our people as they clamor for true justice and transparency in the expanding web of corruption and scandals. Problem is that at this time of writing precious little has been heard about P-Noy’s whereabouts, triggering all kinds of rumors that contribute to perceptions of instability. But where was P-Noy all this time from June 12---ten days ago? I checked with a Palace insider earlier today and she emphatically said that he has been around. Last Thursday, in fact, P-Noy presided over a NEDA Board meeting at the Palace that went on from 10 am. to afternoon (of course he could just have shown himself there and scooted out soon after opening prayer---such meetings are known to bore him). He also went to condole with the family of a slain Pangasinan mayor and from there he went to Hacienda Luisita. The problem, however, is that only the Palace knew his whereabouts---certainly not the public---thus fueling speculation he was not well after that terrible coughing fit in Naga. Now, falling sick is certainly part of the condition humaine, but if you are the President, the people have the right to know---especially in these frightfully uncertain times. Moreover there have been precedents of a disappearing act. Recall that during the Zamboanga crisis last year triggered by the invasion of Nur Misuari and his men, P-Noy also went missing for days and it was DILG Secretary Mar Roxas, Defense Chief Volt Gazmin and ranking AFP officials who were visible. Rumors flew thick and fast that he was taken to Davao and medical help was flown to him from Manila by a sister of his. In a few days he surfaced again shaking hands with Zamboanguenos at the airport. The Palace official I spoke to today admitted that the communications group may have failed to keep the people posted on P-Noy’s activities. That observation was clearly understated---that group is decidedly incompetent, but then, what else is new by the Pasig? Regarding rumors that P-Noy may be ill and that stepping down from office is being discussed in high circles, these may have begun some days ago when a text message circulated about his impending resignation, with Vice President Jejomar Binay about to take over. I dismissed this text, but after P-NOy went “missing” for ten days, it became more than interesting. As a longtime political observer I have learned to watch body and verbal language and I recall that three weeks ago news asserted that VP Binay could run as P-Noy’s endorsed candidate in 2016. Then soon enough, news reported that former President and now Manila Mayor Joseph Estrada is contemplating giving Binay a run for his money for the presidency. But aren’t they allies in the opposition was the logical query? Last June 6 at the elegant golden wedding anniversary of General and Mrs. Alexander Aguirre at the EDSA Shangrila Hotel, Mayor Estrada came with his former Cabinet in full attendance (Alex Aguirre had served him as Executive Secretary with distinction). I queried Mayor Erap about talk that he’s going to challenge Binay, and he denied it. Bakit ko naman gagawin yon, he said. However, two or three days ago, when P-Noy went “missing,” Erap was reported in media asserting that if Binay runs under the LP banner, he himself would challenge the VP. What triggered this statement from Erap after an earlier denial---if there was nothing’s afoot about an impending P-Noy resignation that would propel VP Binay and project him as LP standard-bearer in 2016? At this point, it’s logical that P-Noy would be most keen to buy future security from jail and that he’d crown anyone who would give him peace of mind in this regard. And right now Binay is the frontrunner for 2016. Questions and more questions, demanding answers from a Palace group that’s, alas, noynoying too. Dean Abad, a bar topnotcher, bar examiner (2001) and reviewer and author of a law book on the Labor Code, also asserted that COA itself had approved the disbursement of PCSO funds in GMA’s term---so how could she have committed plunder? COA Auditor Flerida Jimenez had said that the PCSO funds during the Arroyo term were “duly liquefied,” while Aleta Toletino, the executive assistant of resigned PCSO Chair Margie Juico, had admitted upon interrogation that there is no proof that GMA had pocketed PCSO funds. 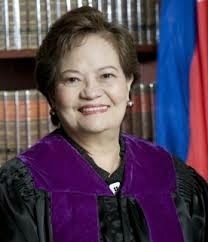 Other luminaries have asserted what he said about the lack of evidence in GMA’s PCSO plunder case, but what is even more significant is that Dean Abad, who was formerly president of the Philippine Association of Law Schools & Colleges and of the Philippine Private Schools & Colleges Association as well as former President of the Integrated Bar of the Philippines, was lawyer of the late Josephine Cojuangco Reyes, sister of former President Cory Aquino and is close to her family. The various FEU institutions are owned by the heirs of their late founder, Dr. Nicanor Reyes, into whose family Josephine Cojuangco married and became president of the FEU College of Medicine & Nursing. When she passed away two years ago, Abad took over her post. After criticizing former President GMA’s continued detention without evidence at Winnie Monsod’s program, Dean Abad was queried if he’d like to become GMA’s lawyer and replied, “I do not like her” and “I will not touch her with a ten-foot pole.” But he also asserted that he does not understand why the Sandiganbayan treats GMA differently when there’s no evidence, and she’s not the accountable and responsible officer for the PCSO intelligence funds--- all she did was to sign a routine marginal note on the PCSO Board Resolution. We have to admire Dean Abad for his ability to see the grim reality of GMA’s continued detention and voice his indictment of this inhuman act despite his closeness to the Cojuangco-Aquino family. It's obvious that he agrees with Mareng Winnie: it's not prosecution of GMA but PERSECUTION. I joined a group of friends who recently visited GMA and we learned of new complications in her deteriorating health, such as a cyst in her liver and continued pain in her arms and stomach. Despite the fact that there’s no evidence against her, the Sandiganbayan has denied her pleas for bail twice times already. Doctors at Veterans Memorial Center admitted a year ago that GMA's condition necessitates more complex treatment than the hospital could render, but new problems have even complicated the picture now. GMA's lawyers are filing a new plea for bail. Let’s pray the Sandiganbayan grant it this time---in the name of justice and all that’s human. Archbishop Arguelles must include the Sandiganbayan in his exhortation as it too is playing politics with GMA’s case. 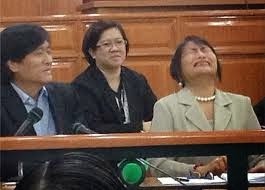 How true is allegation that Napoles advanced cash for DAP payments at CJ Corona’s Senate trial? Bayan Muna Rep. Neri Colmenares warns that far from abolished, PDAF is alive and kicking in new P2.6T national budget for 2014, in the form of unspecified lump sums, echoed by former Nat. Treasurer Leonor Briones.Three SC justices steadfast on DAP as unconstitutional. Brillantes complains about DBM’s sudden offer of recall funds in case of LP’s Edward Hagedorn vs. Mayor Lucilo Bayron. Star columnist Chit Pedrosa recently narrated that while she was having dinner at the residence of Sen. Loren Legarda a few days before the close of the Corona Senate impeachment trial, she overheard then Senate President Juan Ponce Enrile ask Legarda to set up a dinner in her place for the senators in Enrile’s bloc. Chit said the impression Enrile gave was that it was crucial for the group to vote as a bloc at that coming voting. The senators under the sway of JPE met at Legarda’s residence on the Sunday prior to the Senate voting on May 29, 2012, and indeed they all voted to convict Chief Justice Renato Corona. But it now seems that that was not the end of the story. Recall that reports circulated last year about huge pay-offs in exchange for the votes of the Enrile-influenced bloc as well as other senators, beginning with PDAFs conveniently released at mid-trial. Then former Sen. Panfilo Lacson leaked out news about a new porky creation called “Disbursement Acceleration Program” (DAP) that subsequently greased the palms of convicting senators, apart from the PDAF. Sen. Jinggoy Estrada later said there was extra pay-off of about P50 million per senator, but some reports allege as much as P100 million each. But lately something else has begun to surface---a reportedly new twist to that sordid trial. There are allegations that gargantuan funds had to be borrowed from PDAF scam-operator Janet Napoles, since public funds for the senators’ SAROs were still unavailable that crucial weekend. The story alleges that a high-ranking Palace official fetched the staggering sums of money from Napoles and delivered them to Senate Chief Enrile's chief of staff, lawyer Gigi Reyes, for distribution to senators. The allegation is that the Palace couldn't produce that fast SAROs in cash for that crucial weekend, and the only person in this part of the world who would have them (in her bathtub?) in COLD CASH would be Napoles. Whistle-blower Sandra Cam alleged this deep link between the LP and its leaders---e.g.,between Drilon and Rene Maglanque formerly of DOTC and DAR, who defeated GMA’s loyal multi-term mayor Jerry Pelayo in the 2013 elections in Candaba, Pampanga, and Napoles (e.g., as emblazoned in campaign banners welcoming Ma’am Janet and husband). But if this story about the payola for the Senate having been advanced by Napoles is true, this would directly link P-Noy to Napoles, as he was the chief architect of the impeachment and conviction of Corona. If this story is true, then the super-hospitable reception she got in Malacanang earlier this year and her coddling by police authorities would no longer seem strange. Could this link be the reason why DBM Secretary Butch Abad has stoutly refused to show the complete schedule of releases per legislator from PDAF and other fund sources, as COA Chief Grace Pulido-Tan has complained in her Special Report #2012-13, and cited by Manila Times columnist Bobi Tiglao? Perhaps JPE or Revilla or Jinggoy would affirm the accuracy of this story during their coming trial---I wouldn’t be surprised if JPE does a mea culpa on that score. Or perhaps Janet Napoles herself would, if pushed to the wall, tell that story of the cold cash for that fateful weekend. By the way, if that story is true, was Janet ever refunded for her multi-million cash advances? DAP Watch at the Supreme Court: the latest insider report is that three Associate Justices are steadfastly holding the line that DAP is unconstitutional: namely, Antonio Carpio, Mariano del Castillo and Presbitero Velasco. On the other hand, five justices are being wooed to the side of pro-constitutional DAP, obviously to protect the President from impeachment now or prosecution after his term. A final ruling on this hot issue is expected on July 1, and a big rally is scheduled in front of the Court. Other anti-DAP advocates advise daily rallies there until D-Day. Let’s conscienticize the justices to decide on DAP as unconstitutional and appeal to their patriotism to rule with the people. At the Independence Day rally by multi-sectoral groups at Liwasang Bonifacio in Manila, Bayan Muna Rep. Neri Colmenares warned---and reiterated in media by former National Treasurer Leonor Magtolis-Briones---that far from being killed by the Supreme Court when it ruled PDAF as unconstitutional last year, this notorious source of corruption in Congress is alive and kicking, in another form. Colmenares asserted that at least P932 billion is still to the found in the P2.6 trillion budget for 2014 that will be submitted by the Palace later next month, SONA time. The pro-pork culprit this time is the LUMP SUM that’s entrenched in the budget but unspecified and un-itemized, and which could go to the President’s allies as he wills, leaving the opposition high and dry. For instance, said Colmenares, there could be a lump sum of P500 million that would simply state for “repairs” but which could be brought anywhere around the country and doled out to presidential allies. Colmenares advised people to push for abolition of the pork barrel system in the budget, so that whoever will push for it would get six years in jail. He stressed that presidential pork is so big that House members would just go to P-Noy for their share and he’d grant it to them if they are his allies. 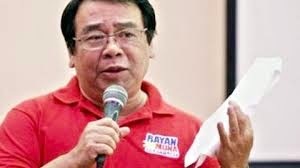 Colmenares added that it’s a vicious cycle as politicians need pork to get themselves and their relatives elected; he appealed to all Filipinos to work for fruition of people’s initiative to abolish the pork barrel system and political dynasties. Speaking of the anti-dynasty bill lodged in the House, Speaker Sonny Belmonte was quoted as opining that it won’t gain acceptance if it would severely limit the number of relatives who can run at the same time for various positions. Belmonte, whose daughter Joy is vice-mayor of Quezon City, stressed that if the anti-dynasty bill would not go beyond accepting two relatives simultaneously in elective office, it would have a tough time being passed in the House. The Movement Against Dynasty (MAD) which was well-represented at last June 12’s rally, will just have to work harder and go down to the grassroots with their campaign against political dynasties, for the fact is that this evil is true in the case of about 80% of all House districts. Speaking of channeling all administration resources to the President’s allies, Comelec Chair Sixto Brillantes thankfully found his voice and denounced the LP’s move to suddenly grant Comelec funding to set a recall procedure in motion---when such recall would work for the benefit of an LP stalwart and against the opposition. In today’s Star, Brillantes stressed that he had long asked for funding to initiate recall proceedings in various areas, but he was consistently given the answer by DBM: no funds. But now that former Puerto Princesa mayor and LP stalwart Edward Hagedorn has a pending recall petition against incumbent Mayor Lucilo Bayron, suddenly there is funding. Brillantes termed it “politics as usual.” It’s also yet another example of the administration’s selective justice, which is now being denounced everywhere---in practically all media columns except dyed-in-the-wool yellows, by Archbishop and CBCP President Socrates Villegas and various organizations, including the Integrated Bar of the Philippines. If there is anything that would bring down the administration of P-Noy, it would be the travesty of justice. People want all those accountable for the gargantuan pork barrel/fake NGO scams prosecuted and punished, regardless of party affiliations, but to date it’s only the three opposition senators that have been indicted and soon to be arrested.